Would you like to receive gifts? 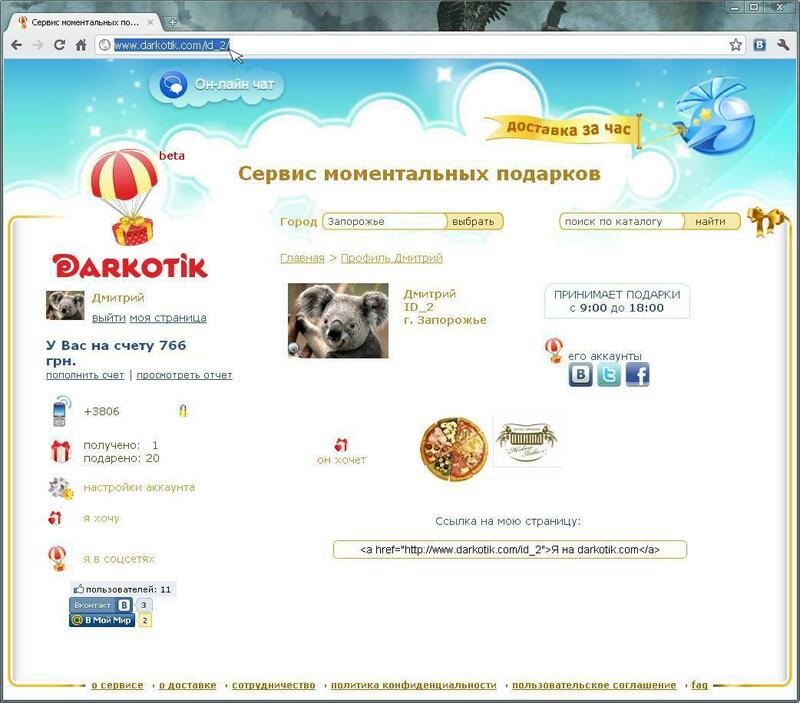 Express gift delivery service Darkotik can help to make your wishes true fast and easy! 3. In the new window you will see a link, copy it. 4. Now you can send this link via e-mail, private message or sms or just place this reference anywhere you want! Everyone can make you a present you want, using this link. But your contact data still will be safe. Your friend only should press button. 1. When you are at your personal page, copy its link at the browser line (example). 2. Place the link at your page in the social networks, blogs, forums, everywhere your friends are. Let them see that it is very easy to make a present to you and they will be glad toplease you every day!